Summer vacations are always treasured, especially when it is a trip to an international destination. Enough time and energy is spent zeroing on the best hotel and resorts, picking the cheapest flight tickets, penciling the preferred hotspots, and more. However, none of the above planning can ever guarantee a good experience. While you may have put your documents in place and skimmed through your checklist a zillion times, there might be a crucial element that you may have missed; ensure you have checked your travel insurance. As we are constantly in the quest for exploring something rare and audacious, we tend to miss out on the probabilities of unplanned situations in a foreign nation. Injuries, illness, and even spewing volcanoes can tear up your perfect itinerary and in such cases it is reassuring to know that someone stands behind you and that you are adequately covered. Thus, travel insurance is more of a safety kit added to your travel plan. It is a precautionary measure that will save you from any unnecessary troubles. Considering travel insurance is an investment, it is very crucial to purchase an accurate travel insurance policy, which benefits you the most and addresses your needs well. It is advisable to purchase a travel policy from a valued insurance brand, which has an international presence and a strong profile. One should also take into account the claim settlement record of the insurer. A standard travel insurance policy covers health insurance and personal accidents. Other than these, travel insurance policies also have features, which cover inconveniences such as flight inconvenience, trip delays and cancellations, connections getting missed and loss of passport. Baggage loss and baggage delay are the most common problems encountered while flying. However, one should note that coverage is offered only when it is in the custody of the common carrier, which in most cases is the airline. One must keep in mind that it will cover only checked-in baggage and delay in receiving baggage outside Indian boundaries. This means that if there is a delay in receiving baggage in India; the policy wouldn’t respond. The possibility of personal liability is also covered which may lead to litigation in the foreign country. Insurance companies also provide cover if an individual’s unattended house in India is burgled, while the policyholder is abroad. This is covered under the Home burglary benefit. Similarly, students who go overseas for studies should look at Travel Insurance. 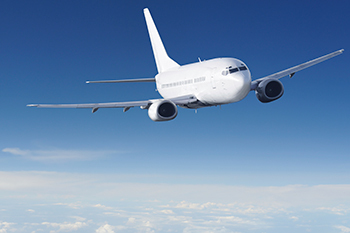 Majority of students opt for a travel insurance policy when they leave the country. Overseas travel insurance is specifically designed for students and is referred to as Students Overseas Travel Insurance. It is a must for students as it includes health cover, protection against sponsorship hassle, study interruption and a compassionate visit. A student cover also includes loss of vital documents and credentials, mental and nervous disorders, rehabilitation for drug and alcoholic addiction. Students would do well to check whether the specialized cover offered in India is in compliance with the one prescribed by the institute abroad and can be opted for a period of one year. In order to compare the varied plans, factors such as cover options, premium amount, medical cover, upper age limit should be given prior consideration. The premium for an insurance plan depends on the location, the travel period, age of the traveler and the level of coverage chosen. Though travel insurance is still at its nascent stage in the country, there has been a shift in people’s attitude while buying a travel insurance. It is not just the regular outbound travelers who have been opting for travel insurance, there has been awareness amongst infrequent travelers such as honeymooners, students, parents visiting their children, and the list is endless. Increase in disposable income, reduced airfares due to fierce competition amongst travel portals and other reasons have been instrumental behind the increase in the number of Indians travelling abroad. As the demand drives insurance companies to offer competitive products, it is all the more necessary to invest and pick the right insurance product and plan that will suffice your needs. Because life is short and holidays, probably shorter; make sure you compare insurance plans to get the right policy for you. Whether you are a carefree student, trekking across Canada with your family, or relaxing on a cruise, it is necessary to take have an insurance policy on your checklist. It will not only act as your lifesaver internationally, but also as the one constant who will get you out of the smallest as well as trickiest of situations. The author, M. Ravichandran is the President – Insurance, TATA AIG General Insurance.